Slots Heaven is an international online casino that is a part of the famous Mansion Group. Other well-known casinos that also belong to this gaming company are Mansion Casino and Casino.com. The online casino offers an impressively broad selection of online games which is one of the reasons why gamblers all over the world visit the website on a regular basis. 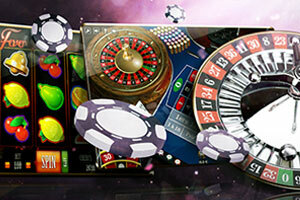 UK players have the opportunity to enjoy a number of exclusive slots as well as some of the well-known casino classics. Slots Heaven also takes pride in its efficient customer support services. It highly values its players and this is the reason why it strives to provide them with the best possible assistance in a timely manner. Its customer support team consists of well-versed specialists who are more than happy to help online users in need. 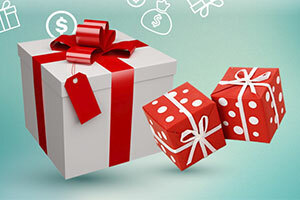 The online casino rewards its players with great bonuses and it provides them with the chance to take advantage of some of its irresistible promotions. It is a first-class choice for a number of players due to the huge diversity of high-quality games it offers. The professional customer support staff along with the exclusive deals are also among the things that greatly contribute to the overall pleasant experience online users usually get when playing at Slots Heaven. Online users have the chance to get just as thrilled as if they were in a brick and mortar casino. The minimum deposit that can be made at this online casino is set to £15. The minimum amount for withdrawals is £10. The online casino offers its new players, who do not reside in the UK, the chance to take advantage of £5 no deposit bonus. 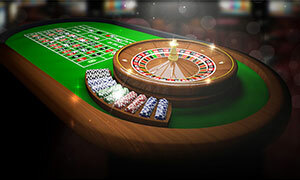 It can be used on any online game, only a few roulette games are excluded. The wagering requirements that apply for this bonus are 70x of its amount. When new players join the online casino for the first time, they have the opportunity to take advantage of a generous welcome bonus. UK-based players who make first deposit of £20 or more will receive 40 bonus spins, which can be used to play any Age of the Gods slot game. On the top of that have the opportunity to take a 100% bonus of up to £100 plus 20 additional spins per day credited to the account for eight days. 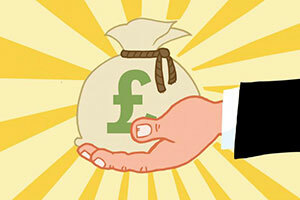 Non-UK players can claim 200% match bonus on their first deposit that is up £400. It is always a good idea if players take their time to double check the T&C of this welcome package in order to make sure they qualify for it. They can be found on the casino’s website in the promotional section. Slots Heaven Casino offers many interesting promotions such as Age of Gods: $1million Giveaway, Red or Black, Make Your Match that players can take advantage of on a regular basis. These special deals change from time to time which is the reason why it is best to check the website frequently in order to keep updated regarding the latest promotions. The online casino has a Loyalty Programme which rewards its players with loyalty points. They are earned every time, online users play a real-money casino game online. 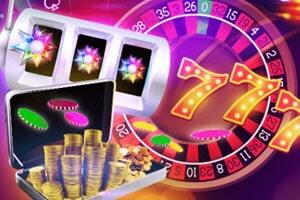 Therefore, the more they enjoy their favourite games at this online casino, the more points they will collect. Players can use these loyalty points to get great cash bonuses in return. When they collect a certain amount of points, they increase their loyalty level which helps them get better bonuses. Behind the high-quality online games is the prominent software provider Playtech. Thanks to it, players are able to enjoy a wide range of diverse online games. Online users can try their luck on some of the available jackpots – White King, Marilyn Monroe, The incredible Hulk 50 Lines, The Avengers, Gladiator, Great Blue, Captain’s Treasure and others. Thanks to the progressive jackpots the online casino offers, it is possible to win a substantial amount of money while enjoying high-quality online games. The impressive portfolio of Slots Heaven Casino features Online Craps, Slots, Live Dealer Games, Roulette, Blackjack, Video Poker, Arcade Games and Scratch Cards. The live casino at Slots Heaven offers the following live dealer games: Live Roulette, Live Baccarat, Live Casino Hold’em, Live Blackjack and others. Even though their range is rather limited, all of them are hosted by courteous live dealers which enable players to get an extremely authentic feeling of the game. Presently, Slots Heaven Casino is not compatible with any mobile devices. However, its website offers a link that redirects players to another online casino that is a part of the Mansion Group – Casino.com. If they decide to visit it, they can expect a wide range of top-quality games that can be played at any time and place. Players can make deposits by using a number of payment methods – EcoPayz, Mastercard, Visa, EntroPay, Instant Banking by Citadel, Neteller, Paysafecard, iDebit, Webmoney and others. It is possible to open an account in a number of currencies, including GBP, DKK, EUR, CAD, NOK, SEK and others. Slots Heaven Casino is available in English, Swedish, Japanese and other languages. Players can get in touch with a customer support representative via phone, email or live chat. It is entirely up to their personal preferences to decide which contact method to use. They can send an email to support@slotsheaven.com or call +350 200 69061. The customer support team is ready to assist in the best possible way and it can be reached every day at any time. The casino holds a Remote Operating Licence issued by the UK Gambling Commission. It is also regulated by the Gibraltar Licensing Authority. Slots Heaven has become a preferred online gambling destination for many reel spinners thanks to its exceptionally vast selection of spectacular classic and advanced video slots. There are hundreds of those at the website along with numerous traditional games like roulette, baccarat, casino poker, and blackjack. Video poker is also available at Slots Heaven in some of its most common varieties. The casino features a robust live-dealer platform giving Slots Heaven’s customers the opportunity to play against the skilled professionals who man the tables in real time. The games offered by Slots Heaven are designed by Playtech, an instantly recognisable brand name which stands for superior quality, playability, and innovation. 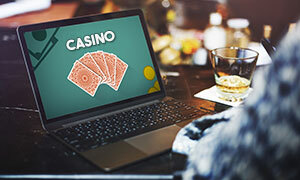 Customers have a choice between loading the games in instant play or accessing the casino’s lobby via the free downloadable software they can find at the website. The casino’s partnership with Playtech ensures players will enjoy nothing short of a spectacular experience in a protected and fair environment. Best of all, the operator runs a mobile-responsive website and offers more than 300 great games for on-the-go play. You can test some of its best titles in practice mode or try to win yourself a hefty jackpot right away by depositing and playing for real money. The last thing you can complain about when you register with this casino operator is lacking a broad enough choice of slots. Indeed, the casino lives up to its name boasting an extensive collection that spans over 200 top-quality Playtech slots. Furthermore, the operator tries to keep its library up to date and constantly expands it by adding the latest slot releases by Playtech. There are all kinds of settings and styles to choose from but players at Slots Heaven commonly prefer to spin the reels of branded Playtech creations such as Terminator, The Dark Knight, Justice League, Gladiator, and The Matrix. These games command the attention of Slots Heaven’s players with their innovative and fresh design that strays from what classic slots look like but this is precisely what makes them so desirable. 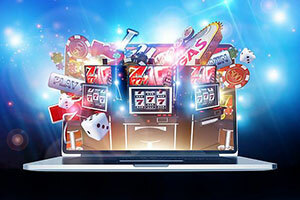 The slots at the website enable customers to win themselves a nice payout on multiple paylines but their chances are further improved by the extra wild and scattered symbols, the bonus games, and the rounds of free spins. Slots Heaven also features a good range of all-ways-win games where you can form winning combinations by simply matching identical symbols on neighbouring reels. The best example for this is the Epic Ape slot where you have as many as 4096 ways to scoop up a payout. Other popular slots of this type you can find at the website include Nostradamus, Top Gun, and Buffalo Blitz. Of course, the operator is committed to ensuring there is a little something for all types of players, which is why its website is also home to some classic titles where you can make winning combinations across three reels only. Such is the case with slots like Ugga Bugga, Crazy 7, Reel Classic 3, and Magic Slots. The operator’s brand name may have been inspired by one-arm bandits but this is not to say slots are the only type of game its library consists of. On the contrary, the website features a healthy range of roulette options that spans over 20 varieties of the iconic game of chance. These are all listed in the Table Games section where you will come across classics like European, American, and French Roulette. Virtual tables utilising the single-zero format are also available in multi-player mode. Some of the roulette varieties are particularly impressive when it comes to audio and graphics. The prime example is 3D Roulette where Playtech developers have truly outdone themselves, paying close attention to all the details no matter how tiny they are. You can even see the crystal clear reflection of the turret arms on the glossy surface of the enlarged wheel. Most of the roulette variations at Slots Heaven allow for customisation, which enables players to tailor the gameplay to their individual style and preferences. You can choose from different felt colours, change the view, or even switch the wheel’s direction of rotation if you are not superstitious. Some of the games are indeed extraordinary and offer a refreshing betting experience. We recommend you try the Multi-Wheel version of the game along with Pinball Roulette and Mini Roulette. Blackjack keeps company with roulette in the Table Games section of the casino lobby where it is available in more than 15 distinct varieties. This is where the beauty of Playtech casinos likes Slots Heaven lies since the developer is known for designing easily distinguishable table games that boast a variety of unique features. This applies to many of the blackjack variations offered by Slots Heaven and especially to games like Double Attack, 21 Duel Blackjack, Buster Blackjack, and All Bets Blackjack. Some of the options support multiple-hand play, with five betting boxes you can post bets in. 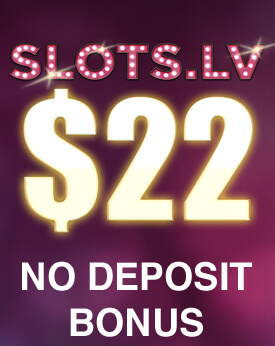 At Slots Heaven, you can also play one multi-player version of 21 that features a mouth-watering progressive jackpot. In order to win the six-figure prize, Slots Heaven players must post an additional side bet and get dealt a hand of four suited aces. Another interesting variation of 21 offered by the operator is Blackjack Switch where you play two hands at a time and have the option to switch their top cards if you deem it necessary. The casino also provides fans of the game with a selection of more conventional variations such as American Blackjack, Blackjack Pro, and Perfect Pairs. In some of the games, you can select your preferred table limit – the maximums would normally range from £50 to £500. A scratchcard version of the game is also available to the benefit of rookies. Slots Heaven is home to about 9 distinct variants of video poker where skilled players can obtain an edge over the casino through optimal strategic play. The great thing about these games is that they are incredibly well-polished and impress with a more sophisticated look and design, which is one of Playtech’s most distinctive trademarks. The games’ design is not only rather sleek but also quite user-friendly which helps if you are not experienced enough with video poker. The variations Slots Heaven has on offer feature the Gamble functionality that gets activated after every winning hand, giving you the opportunity to potentially increase your payout. Jacks or Better is available in both single-hand and multiple-hand formats where you can post separate bets on up to 100 hands. We warn you in advance only the single-hand version offers full pay so it would be best to stick with it. Another must-try variant is Deuces Wild where you are assisted in forming qualifying winning hands by the cards with a pip value of two – these are wild, meaning that they can sub for all remaining cards in the deck. Slots Heaven also features one progressive video poker variation, called Mega Jacks. The other options for video poker fans at Slots Heaven include Aces and Faces, Tens or Better, Joker Poker where the joker is wild, All American Poker, and 2 Ways Royal which awards huge payouts for low and high royal flushes. Players at Slots Heaven have every reason to be delighted with the selection of progressive jackpot games at the website. You can end your betting session significantly richer by playing 30-something progressives, the majority of which are slots. The slots from Playtech’s Age of Gods series hold an immense appeal and frequently rank among the top games on the website. This popularity is easy to explain – all it takes is for you to have a quick look at the Age of Gods slots’ jackpot metres and see the humongous prizes that can be won. King of Olympus, Goddess of Wisdom, Furious 4, and Fate Sisters are some of the top jackpot slots from the series and you can play them all at Slots Heaven. The casino is also linked to Playtech’s DC Comics jackpot network, offering you superhero-inspired branded slots such as Superman II, Man of Steel, Green Lantern, Justice League, and The Dark Knight. Other slots worthy of a mention are Jackpot Giant, Gladiator: Road to Rome, Funky Fruits, and Cat in Vegas. Not interested in slots? Do not worry – at Slots Heaven, you can win yourself a tasty progressive jackpot on other games, like the progressive Age of Gods Roulette, Dragon Jackpot Roulette, and the progressive Blackjack Multi-Player variation. The live-dealer offering of Slots Heaven is powered by no other than Playtech and is available in instant-play, download, and mobile formats to the benefit of players who are looking to join the friendly dealers for a quick game from different devices. The Live Casino section of Slots Heaven’s lobby grants players an instant access to six main categories of games, namely Live Roulette, Live Blackjack, Live Baccarat, Live Poker, Live Hi-Lo, and Spin a Win, but the latter features only one wheel-based game of chance. The live lobby itself is just as easy to navigate as the lobby with the virtual casino games. You can play at several tables at the same time, chat to the dealers and fellow Slots Heaven players, and choose from a flexible range of limits. Some of the live games are playable from £0.50 only, but we found the minimum limits at the blackjack lounge a bit high since betting in most of the variations starts at £10 or £25, which may put off some inexperienced customers. However, high-rollers are not lacking opportunities at the website and can risk as much as £5,000 per hand. 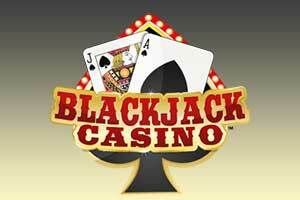 If your blackjack table of choice is full and there are no seats available, you can add yourself to the waiting list and bet behind fellow players if they are OK with that. Some of the live tables that attracted our attention the most include Football Unlimited Blackjack, Mini Baccarat without commission, Live Age of the Gods Roulette (also progressive), Casino Hold’em, and 3 Card Brag. Are there any imposed restrictions who can play at Slots Heaven? Yes, even though players from all over the world can access the online casino through their Internet browser, it is not always possible to play at this online casino. They have to take into account the specific rules and regulations that apply for their country. Up to present, US players cannot play at Slots Heaven. Is there any need to download the casino software? Yes, it is best if players download the free casino software in order to make sure that the online games will run smoothly and flawlessly. This way, their quality and speed will be also up to standard and online users will avoid any potential technical issues. Once players download the software, they can access the casino through their most trusted browser and play a number of world-class games. How can players be sure that the online games at Slots Heaven are fair? Slots Heaven uses an advanced Random Number Generator for its online games which is in accordance with the established standards in the online gaming industry. Sometimes unrealistic duplications might occur such as two identical cards can appear concurrently which is a proof that the games cannot be predicted. Can players chat with other participants while playing an online game? 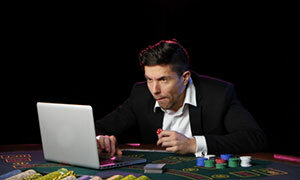 Yes, players can interact with other fellow gamblers by using the available live chat feature. However, they can do so only on the condition that they have joined a multi-player or a private table. All that it takes to start a conversation is to simply click on the chat button and start typing. What are the perks of being VIP at Slots Heaven? VIP players have the chance to take advantage of a number of exclusive promotions and deals. They are able to get better bonuses and VIP tickets to many special events. VIP members receive extra care and support and their account is frequently monitored which brings the needed peace of mind that they are highly protected at any time. As a really big fan of Playtech software, I decided to register at Slots Heaven and I’m happy I did. If you like playing games from different providers and are used to see gaming libraries of over 500 titles, the number of the games in this casino will seem to you inadequate. However, most of my favourite slots, if not all of them, are here. Depositing is easy, withdrawals take a little longer than usual, while the customer support is excellent and available 24/7. The bonuses are also very good and the casino gives free spins to every new member. Regular players are rewarded even better – they receive loyalty points for each real-money bet they make, they enjoy faster withdrawals, special gifts, and various promotions and reload bonuses. The beautiful home page with the neon lights is the first thing I noticed when I opened this casino. It has its own style and reminds you of being at an actual casino. Of course, it has online slots, card and table games, as well as video poker, but it also hosts several live dealer games. All other games run without problems directly in my browser and when I saw that you can play the 3D live roulette in practice mode, i.e. for free, even without registering, I decided to give it a try. It was quite a disappointment when the game started just to crash a few seconds later. 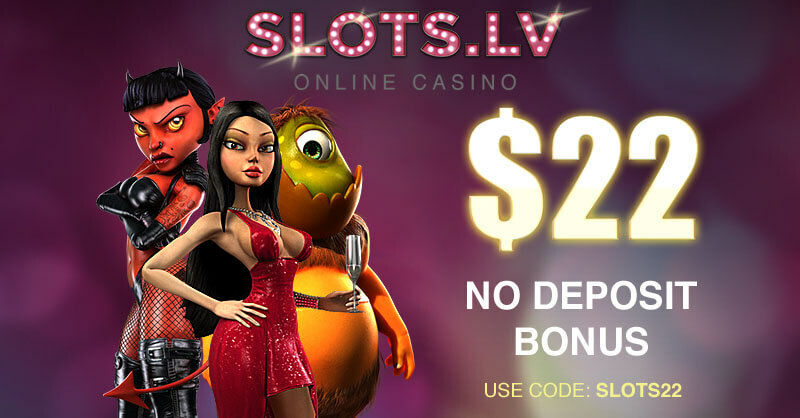 I saw the casino has a great 200% match bonus on first deposits, so despite the little technical problem, I’m thinking of downloading the software and registering. So far, Slots Heaven looks almost perfect. Slots Heaven is part of the prestigious Mansion Group, so the casino is one of the safest and most reliable sites for online betting. The collection of games includes mostly Playtech titles – slots, table and card games, live casino, scratch cards, video poker, and more. There are many payment methods you can use to make deposits, which is incredibly convenient, while withdrawals are reliable. In order to request a withdrawal, however, you need to submit a copy of your ID, passport, credit card, and some proof of address, so the casino can verify your account. This is why payouts can take more than a week to process, especially the first time you are withdrawing your winnings. This is the only disappointment that I’ve had with this casino. I really like this casino – it’s the perfect place for betting on slots, as its very name suggests. The website is beautiful and well-organised, offering a downloadable and a Flash casino. There is a convenient live chat feature where support agents reply within several minutes. The site is very user-friendly and each game comes with a detailed description where you can find the rules, the paytable, and so on. One thing that bothered me while I was browsing through the casino website was that all the letters were really small and probably a lot of players don’t even read the T&C page before registering. Other than that, the casino is really a Slots Heaven, especially if you are fans of Playtech software like me. I registered an account at this casino because I saw their nice 200% match bonus on first deposits. When I opened the site, I noticed they offer a casino software that can be downloaded, but I decided to try the instant-play interface and it turned out to be very smooth and responding. I suppose the games may be a bit faster if I open them from the casino client, but so far, I’m satisfied with the quality of the Flash games. 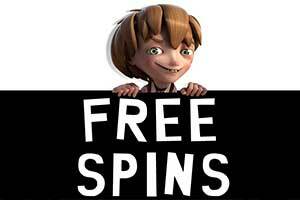 Along with the bonus, I received 200 free spins on Age of the Gods slot series, which have progressive jackpots. I still haven’t tried the table games and I can’t comment on the customer support because I’m pretty new. I just sent some verification documents and hopefully, I’ll be able to withdraw my £150 winnings within the next few days.